The Lawson Family Chair in Microbiome Nutrition Research, Elena Comelli, is discovering new links between the gut, good health and chronic disease. Though it’s no secret that good nutrition is a positive factor for child development, what is less known is how the various micro-organisms living within the human gut—especially the gut of a rapidly developing child—figure in nutrient absorption and the body’s long-term health. 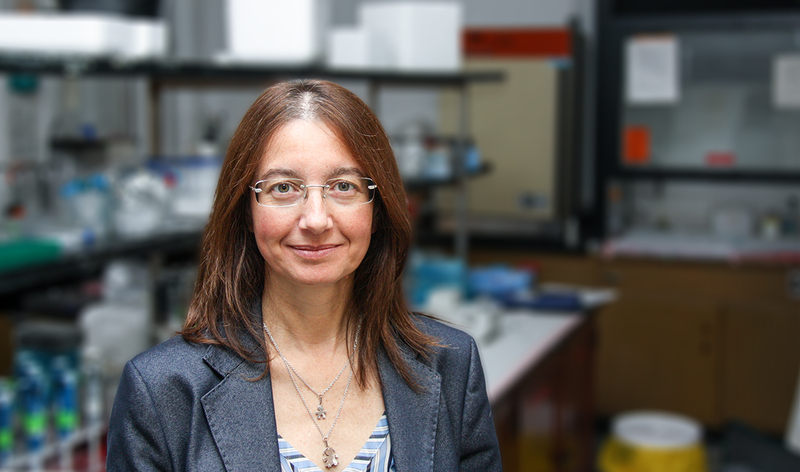 Enter Professor Elena Comelli, the U of T Lawson Family Chair in Microbiome Nutrition Research. Her groundbreaking research is helping to shed light on the integral relationship between the gut, childhood nutrition and health. A healthy microbiome is particularly important in children. The first 1,000 days are a critical window of opportunity for early childhood growth and development—they can either make or break a person’s health for the long term. Comelli’s group is investigating how dietary interventions (including probiotics and vitamin D) early in life can help put children on the right microbiome track to promote healthy growth and prevent disease later in life. Recently, Comelli, her group and their collaborators have also theorized the existence of a gut microbial-bone axis—the effect of the gut-associated microbial community on bone health—which holds potential to ensure the growth and development of a healthy skeleton. Another focus is on probiotics and microbial regulation of gene expression in the gut.